We have news today about a new smartphone that has just launched in India, the Samsung Galaxy Star Pro. Many of you will have heard of the Galaxy Star that was released earlier this year, and the Galaxy Star Pro appears to be an improved version of this. We have release and price details ahead. The Samsung Galaxy Star is an affordable handset, and unsurprisingly perhaps the Galaxy Star Pro is also targeted at the inexpensive end of the market. Although the phone is not yet available on either the Samsung eStore or Samsung India online, one online retailer already has the device for sale. 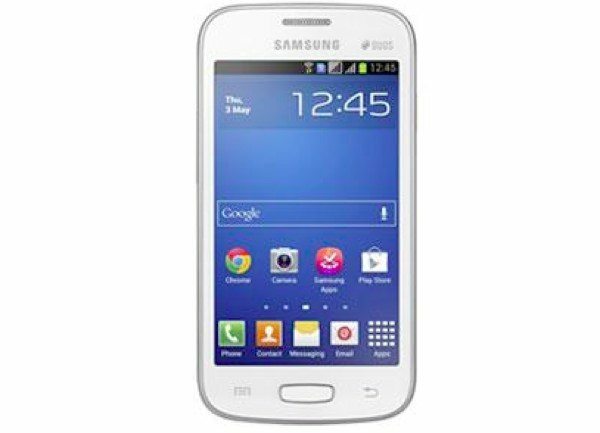 The Galaxy Star Pro S7262 is in white and is powered by a 1GHz single-core processor, has a 4-inch WVGA display with resolution of 800 x 480, 512MB of RAM, and 4GB of internal storage, expandable to 32GB via microSD. The Star Pro also has a 2-megapixel rear camera, 1500 mAh battery, 2G Edge, Wi-Fi 802.11 a/b/g/n, WiFi-Direct and Bluetooth 3.0. It runs the Android 4.1 Jelly Bean operating system and dimensions are 12.12cm x 6.27cm x 1.06cm, weighing in at 121g. The dual-SIM phone is available in White and available now at HomeShop18 online. Delivery is within 3 working days and the Galaxy Star Pro is priced at Rs. 6,989. We always appreciate comments from our many readers in India and would like to hear your thoughts on the Samsung Galaxy Star Pro. Is this a phone you would consider purchasing in the near future?